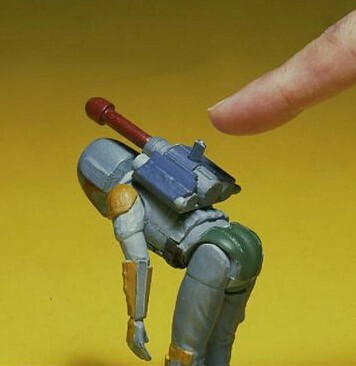 Due to a fantastic find of original photographic reference material, we are now privy to some never before seen images of the infamous Rocket Firing Boba Fett action figure prototype. This particular figure appears to be the final version of the concept model and looks quite different from the first version and the modified second version. One big change separating this from the previous version was the missile change to one taken directly from a Mattel Shogun Warrior figure. 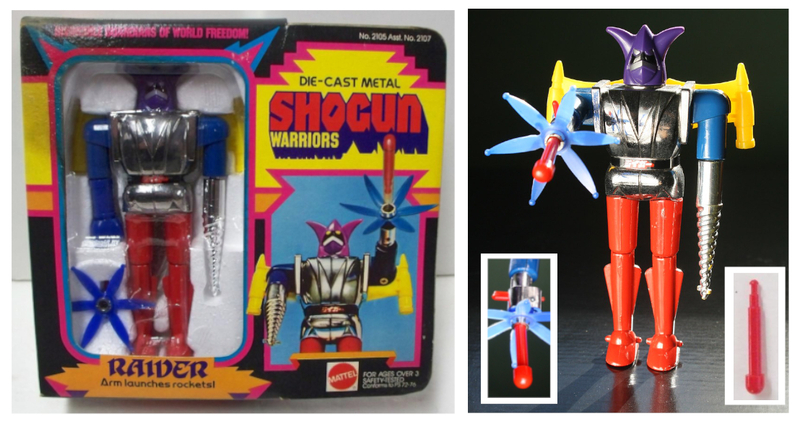 The firing mechanism on all versions of the kit-bashed Fett was from this Shogun Warrior toy. These file photographs are undoubtedly the basis for the images so widely recognized on the Star Wars 20 Back action figure packaging. The photographs were retouched by hand with an airbrush so that they appear to be completely painted by hand and look like original artwork. However, it can be plainly seen that the artist merely worked over the existing photographic images. The Mail-In Offer for Boba Fett was Kenner's first action figure giveaway and the process of redeeming Proof of Purchase seals for free figures or items continued almost up until the end of the toy line in 1985. The initial selling point of the figure was of course it's backpack missile launcher, which through the 1979 January/February Product catalog clearly states that the figure was to come with 2 missiles. The imagery in the catalog is a larger version of what is shown on the cardback, but the added textual information drives home the notion that Kenner was really hyping this action figure. The story only grows from this point because after this conceptual stage the injection-molded plastic prototypes went through many versions of their own. The most widely recognized prototype for the Rocket Firing Boba Fett is undoubtedly the version that collectors have dubbed the L-Slot version.